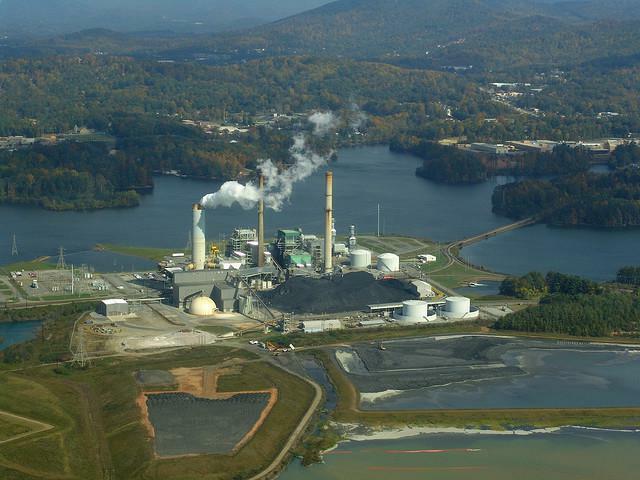 The company must remove the residue left after decades of burning coal to produce electricity, the North Carolina Department of Environmental Quality said. Duke Energy had proposed covering some storage pits with a waterproof cap, saying that would prevent rain from carrying chemicals through the unlined bottoms and would provide a quicker and cheaper option. Duke Energy said the expanded excavation requirement could double its costs to about $10 billion. It had previously estimated the task would take up to 30 years to complete at all 14 current and former coal-burning plants in the state. Monday's decision affects six coal-burning plants still operating in North Carolina. Pits at eight other power plants around the state had previously been ordered excavated, with the ash to be stored away from waterways. The NCDEQ says the company must relocate the ash to lined landfills. This follows scientific study of pollution from the ponds and public listening sessions with impacted communities. "We did a thorough analysis of the six sites and it wasn't a decision that was made by other reasons than the science," state NCDEQ Secretary Michael Regan said in an interview. "We're making these decisions so that they are most protective of public health and the environment." Frank Holleman of the Southern Environmental Law Center called the order a "historic announcement." Governor Roy Cooper offered his response to the development. Regan said the decision resolves the long-running uncertainty facing those state residents impacted by the coal ash ponds. A 2008 spill in Tennessee drew national attention to coal ash storage. Cleanup became a priority in North Carolina after a 2014 leak at Duke Energy site in Eden, N.C. left coal ash coating 70 miles (110 kilometers) of the Dan River on the state's border with Virginia. The same North Carolina Utilities Commission assessed the company a $70 million mismanagement penalty, finding that Duke Energy's "irresponsible management" of its ash pits "resulted in cost increases greater than those necessary to adequately maintain and operate its facilities." Charlotte-based Duke Energy has 7.6 million electricity customers in the Carolinas, Florida, Kentucky, Indiana and Ohio. The company must submit its excavation and closure plans for the coal ash ponds to the state by August 1st.